My wife and I have been playing professionally for 40+ years, and have been selling musical instruments since 1989. 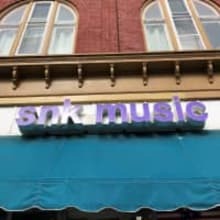 SNK Music sells a little bit of everything, from guitars, bass guitars, ukuleles, keyboards, horns, violins, books, and accessories! We are a licensed dealer for several brand name companies.